A lobster as a pet? Yeah, it’s a thing. In the Northeast, lobsters are pretty common. You can find restaurants that serve them with just about any meal; even the fast food joints have some sort of lobster offering in the spring and summer months. But some people choose to keep their lobsters out of the pot, and with good reason — these little guys actually make pretty quirky pets and aren’t much more difficult to care for than other marine crustaceans. But before you run out and scoop one out of the ocean, here are some things to consider. Keep in mind: Each type of lobster comes with their own set of requirements. 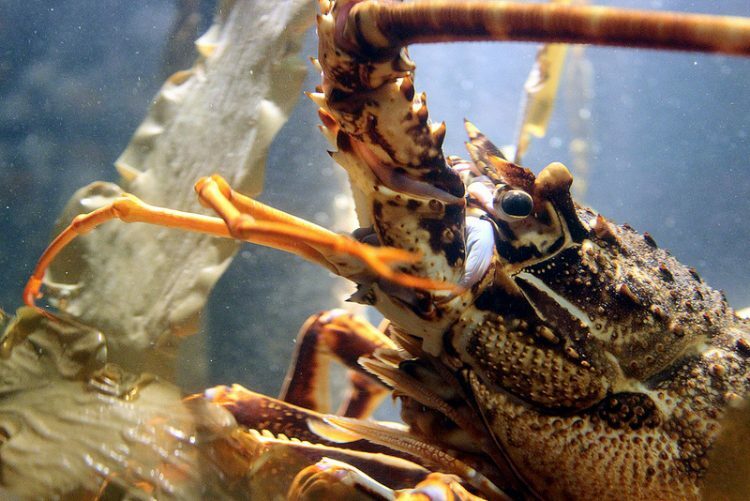 Cold-water lobsters need a colder environment. Some need a lot of space. Some make a lot of waste. Some are going to eat every other animal you have in that tank. Do your research carefully before diving into keeping lobsters as pets. On the bright side, this is one pet you don’t need to walk and who won’t ever pee on the floor. Almost all lobsters need some elbow room. In short, lobsters will fight over space. If you plan on having more than 1, you’re going to need a bigger, uh, tank. Drs. Foster & Smith recommend a tank no smaller than 50 gallons for 1 little red lobster. If you are thinking of getting pet lobsters, first be sure you have the space for their tank setups. Lobsters are rarely cannibalistic in the wild, according to the Pictou-Antigonish Regional Library’s page on the American lobster. Only in captivity has this behavior been observed regularly. 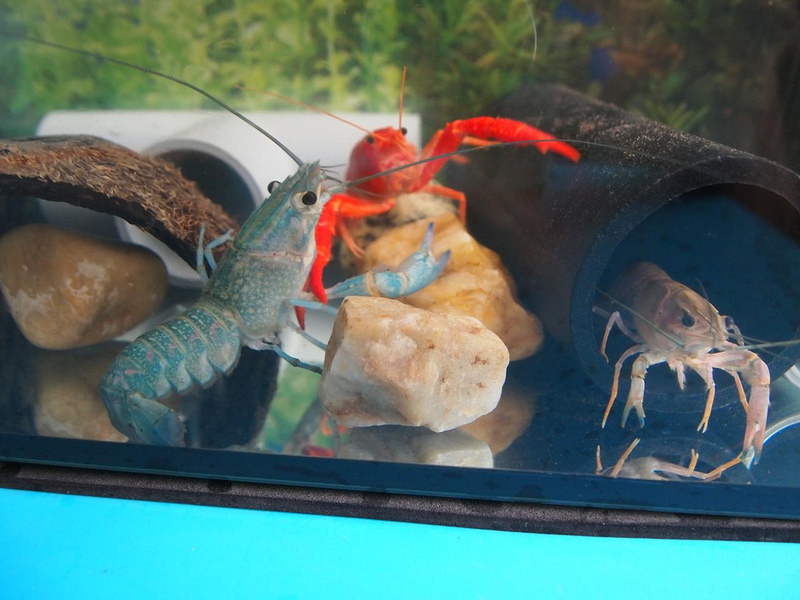 Any other animals in the tank are fair game for your lobsters, and that includes fish and shellfish. Lobsters are not the type to pine away for a companion. In their natural habitat, lobsters tend to be solitary and prickly creatures. Even mating isn’t meant to last forever — just for a few days until the deed is done. Once the female has been fertilized, she moves on to her own place to allow her shell to harden (she molts just before mating) and to lay her eggs, while the male entertains other females in the area. If you want more than 1 lobster, try putting a mesh screen inside your tank. This way you can keep the water temperature and pH levels the same but keep your lobsters separate. Again, this varies between species of lobster. In the wild, lobsters eat a wide variety of sea life, including oysters, clams, mussels, fish, starfish and more. So, for example, spiny lobsters — a popular tank species — need a combination of pellets and different types of seafood to survive. Pellets containing vegetation-type material can be purchased from local pet shops. Not much is known about lobster longevity in captivity. In the wild, lobsters can live to be over 100 years old. In fact, one lobster got another chance at life due to his age: At 20 pounds, 140-year-old “George” was released into the wild after PETA pleaded on his behalf. It’s impossible to write a generalized article on overall lobster care because there are many differences between the various species. But if you decide you want a lobster as a pet, don’t be intimidated. Do plenty of research on your chosen species. Talk to people who regularly handle lobsters, like staff members at local aquariums. Spend the time to get the setup just right — and then bring home a George of your own.